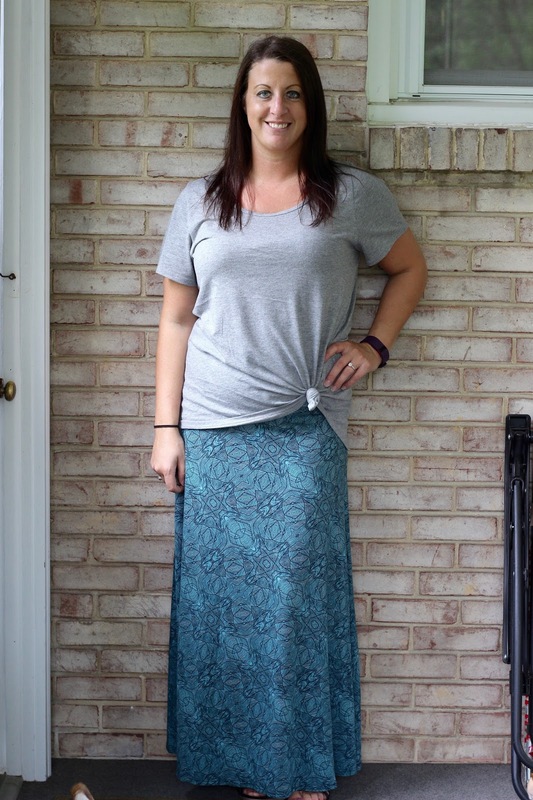 Maxi skirts are everything to me. The LuLaRoe maxi skirt is uber comfortable and you can actually wear it so many different ways, which I'll show off over the next few weeks. I'm just wearing it like a normal person would here, lol. But I paired it with a LuLaRoe Classic T which I notted at the side. A grey T goes with so much and the maxi really helped dress this one up.